Lack of software is what's killing our console, says Iwata. "If the price is actually an issue, then there is some contradiction between the current sales balance between the Basic and Premium versions of the Wii U," says Nintendo's Satoru Iwata. "The basic version should have sold a lot, but the fact of the matter is that people are buying more of the premium version. So the issue is not there." No, Iwata believes, the real problem is the lack of software, not the hardware price point, and the only solution is to bring out "a number of quality software titles." There's certainly a lot of truth in that statement, and software-software-software is a mantra that Nintendo's been pushing for a while now. Software helps sell boxes, and without those sales developers aren't going to want to work with the Wii U. That said, lack of software wasn't the only problem with the hardware launch, and may not explain all of the Wii U's sales woes. The Basic has a very tiny brain - all of 8 GB, as compared to the 32GB Premium - of which a chunk gets dedicated to firmware, but at launch even more vanished soon afterwards. Remember that massive update you had to endure right after you bought the thing, the update that may have devoured as much as 5 GB of the Wii U's mind? 8 minus 5 minus X equals not very much at all, and many users will have figured that out, factoring it into their purchasing decision. Lack of software may have killed off future sales, but software may not have been the only reason why Premium outsells Basic. 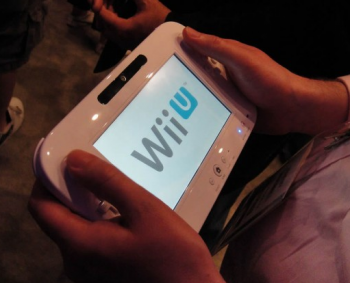 That said, software certainly is the Wii U's problem now, whether or not it was Basic's problem at launch. A slew of new titles would help bring developers back into the fold. Only time will tell whether or not the Wii U has a future, or whether - as Michael Pachter once put it - Nintendo truly has lost its mojo.